This image shows a crystal lophophore probably belonging to a Pseudoatrypa brachiopod. 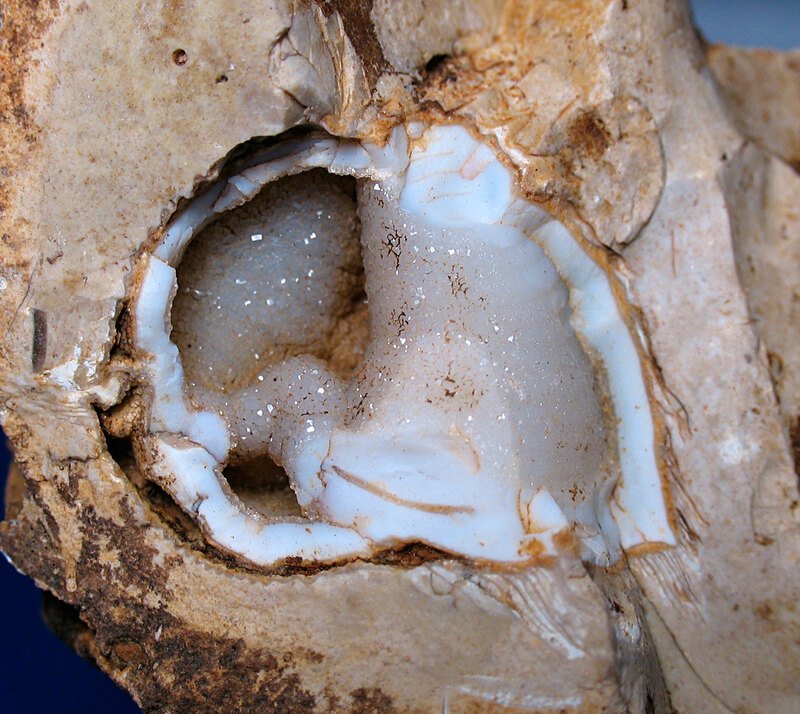 The fossil is broken at least in half leaving a view of the two internal tapering tube structures. 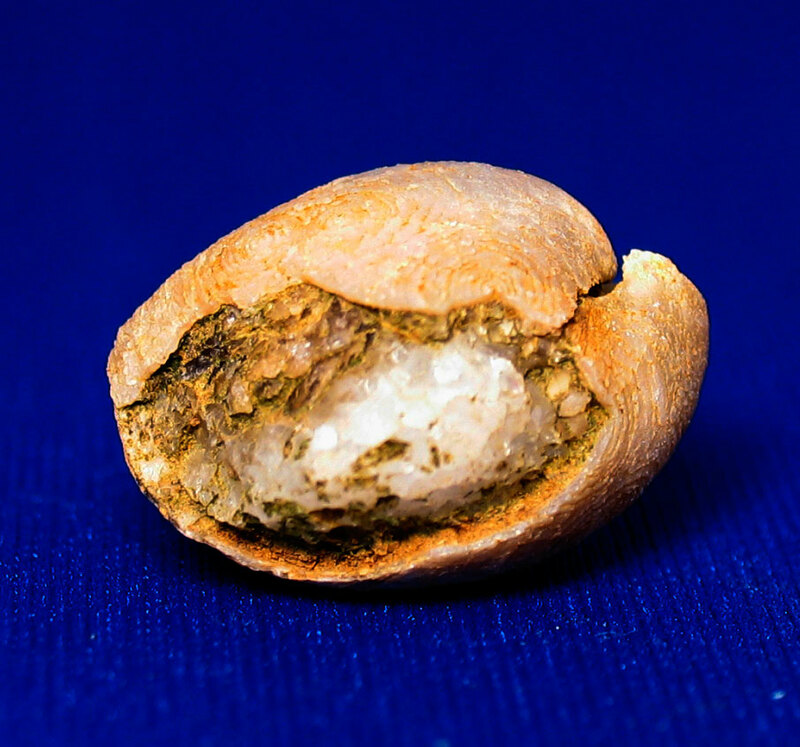 It looks to be embedded in a chert like material. Material is from the Jeffersonville Limestone of Clark County, Indiana (Devonian Period). 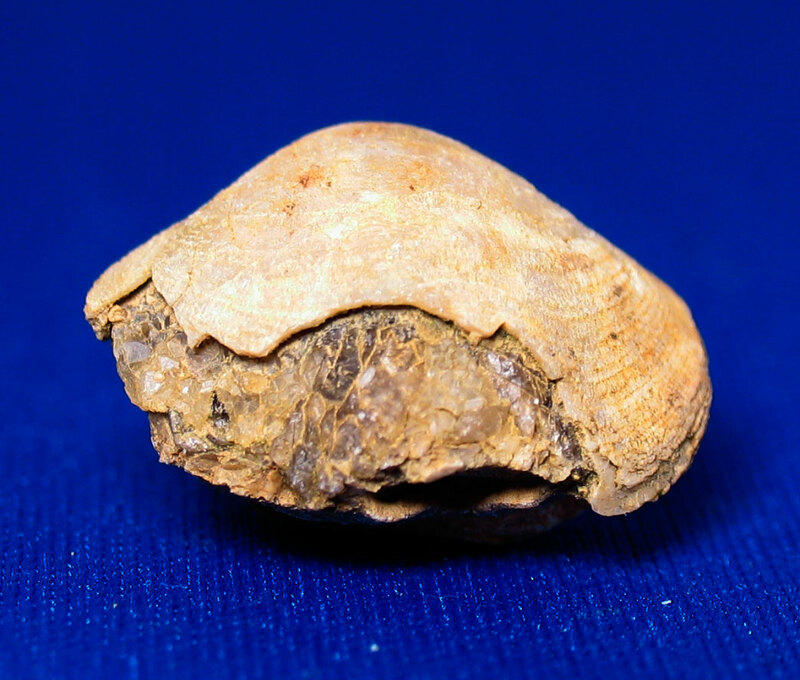 This is a combination of the two themes on posts the last two days: crystals forming in brachiopod fossils and lophophore structures preserved in brachiopod fossils. So today the fossil is a crystalline lophophore. 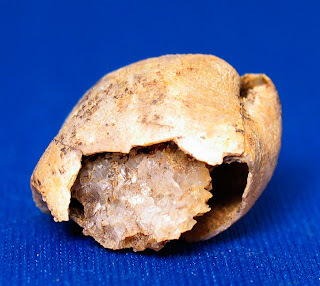 As reader soliussymbiosus (of blog Swimming The Ordovician Seas) pointed out in the comments of the November 7, 2010 posts on "Calcite in Brachiopod Fossils", these crystals are probably quartz. It makes sense, if chert is composed of silca then the crystals could be silicon dioxide that formed in the cavity. As a bonus, four more pictures have been adding showing quartz crystals formed in Devonian Period Athyris brachiopods. They too are found in the Jeffersonville Limestone of Clark County, Indiana. I apologize for the lighting on these images. 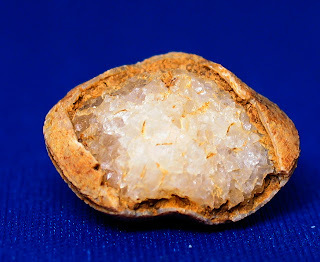 The light was intense because the Pseudoatrypa shown earlier needed to have the crystal chamber illuminated. The levels on these photos had to be adjusted quite a bit to reveal crystal detail in the fossils.